The Board of Trustees of Essex Winter Series is pleased to announce that Austin Rannestad of Chester is the recipient of the 2016 Francis Bealey Memorial Scholarship. A 2016 graduate of Valley Regional High School (VRHS), Austin is the son of John and Jennifer Rannestad of Chester. The scholarship was awarded by Essex Winter Series trustee Louisa Ketron at the VRHS senior awards night in June. Austin Rannestad plays trumpet and, during his highs school career was a member of the concert and jazz bands, as well as a musician in the pit orchestra for school and community musicals. He was a member of the Greater Hartford Youth Wind Ensemble, played varsity tennis and was a member of the ski club. This summer, Austin was employed as a sailing instructor at Pettipaug Sailing Academy and, with his family, hosted a Spanish exchange student for several weeks. 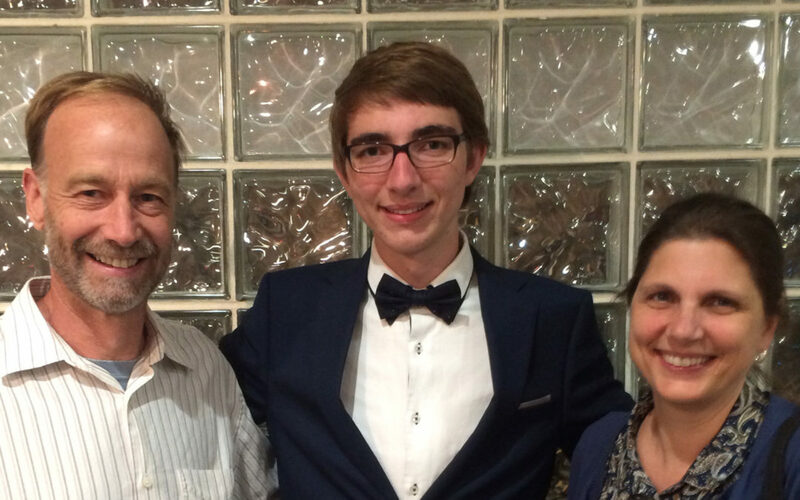 He plans to attend Ithaca College to pursue a Bachelor of Arts degree in Music.